Want to donate to CHAT? CHAT, the Community Health Assistance Team, is a non-profit 501 (c)(3) organization totally maintained by volunteers. 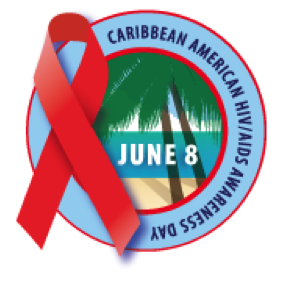 Our mission is to enhance the health status of minorities by raising funds and awarding grants to worthy HIV/AIDS service and educational organizations in the local African-American and Latino communities. After years of hosting "Dining with Friends" for the S.C. Aids Benefit Foundation (ABF) our group of volunteers decided to form our own HIV/AIDS benefit foundation. Our group saw the need to fund local minority groups as opposed to sending our funds state-wide. Thus, CHAT was organized. The Mardi Gras Gala is our largest fundraising event. It is a day filled with fun and friendly adult fellowship. Although the Mardi Gras has been highly successful. the Franchot A. Brown bridge dedication produced substantial funds for CHAT. Thanks to the kindness and generosity of our sponsors and guests, CHAT has awarded yearly grants to PALSS (Palmetto Aids Life Support Services), Brookland Baptist Church Brotherhood, First Nazareth Baptist Church Outreach, and S.C. Hispanic Connection. Thank you for your local support and generosity.